A pioneering clinical trial is testing whether ultrasound therapy can relieve pain in patients whose cancers have spread to the bone. The first five patients have already been treated in the trial, with encouraging reductions in the pain they were experiencing from bone tumours, according to researchers at The Institute of Cancer Research, London, and The Royal Marsden NHS Foundation Trust. 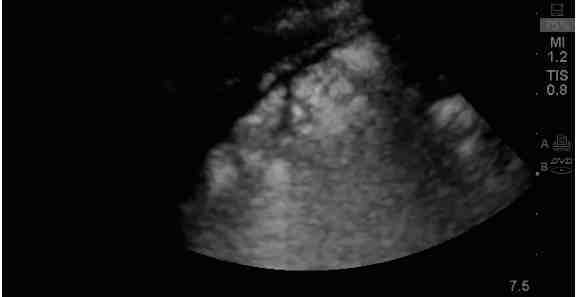 The technique called high-intensity focused ultrasound (HIFU) concentrates ultrasound energy precisely on a target in the body to thermally destroy tissue. The technology is coupled with magnetic resonance imaging (MRI) guidance to identify, target and track treatment in real time. The treatment produces heat to destroy the nerve tissue in the bone around the tumour causing the pain, while leaving adjacent areas unharmed. Patients whose cancers have metastasised to the bone can experience intense bone pain, which can severely reduce their quality of life. HIFU could provide a non-invasive way of controlling pain for these patients where radiotherapy is no longer an option, or where other treatments have been unable to control the disease. Ultrasound has traditionally been used as a way of imaging the body but, used at higher power, researchers believe it offers promise as an exciting new way of treating cancer. If this HIFU study proves successful for pain control, it could lead to further studies at ICR and the Royal Marsden to thermally destroy local tumours at an earlier stage of the disease, possibly helping to extend life. The trial is part of a wider initiative between the ICR, The Royal Marsden, the Focused Ultrasound Foundation and Philips, the developer of the HIFU system. This collaboration is creating a state-of-the-art resource for clinicians and scientists to establish global standards for focused ultrasound and accelerate development of the technology to treat cancers. It's great to see new applications for medical technology. It's amazing how adaptations of standard treatments for an unrelated disease can be adapted to help another group of patients. I hope that these trials are a success and hospitals and doctors offices gain another tool to combat cancer.